Responsible Duncan is the oldest of four siblings. His parents are farmers who supplement their income by helping on their neighbor’s farms and taking up other jobs where they can get them. As the caretaker of his younger siblings, Duncan knows how much his family relies on him. 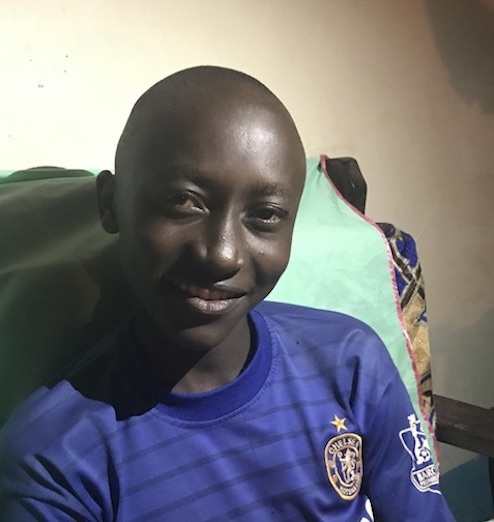 This understanding of his responsibilities drives him to work hard in school, so he can be of even greater help to his family with an education. Even with all the responsibilities he has back home, Duncan makes sure to put aside time to stay at school longer to study the material assigned during the day. He has little time to study at home, since his family must keep the kerosene lamp off most of the time to save money. After studying, he rushes home to help with chores around his home, such as attending to the animals and helping his grandmother with her evening duties. Whenever possible, Duncan enjoys reading books. Reading helps improve his language and comprehension skills. He last read a book called ‘Adventures in the Forest’ which sparked a new interest in visiting forests when he gets older. He also loves bicycles, and always offers to run errands for his neighbors that own bikes just to get the chance to ride one. Duncan fully understands that an education is the best tool for helping himself and his family out of poverty. He is a determined young boy, eligible to join form one next year. He will need help to pay tuition fees and purchase personal items. His ambition of becoming an optician will only be realized if he gets the financial and moral support he needs. Help Duncan finish his education by sponsoring him today!